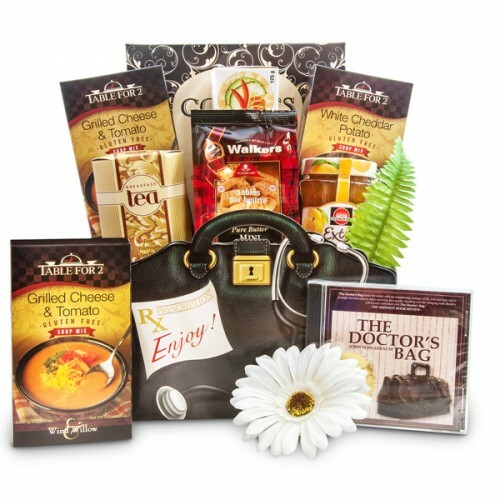 You can make a profit while providing your customers with beautiful professionally designed gift baskets. Our program is different from the flower service programs. 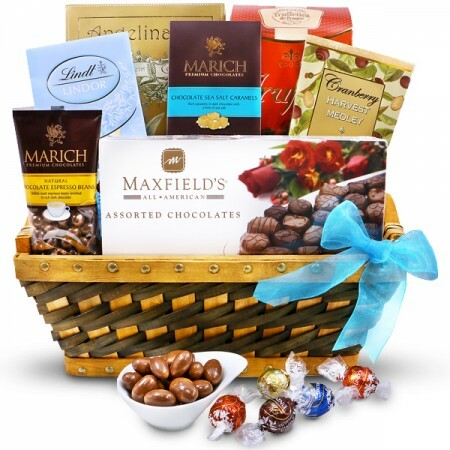 Once you sign up we give you a code for your discount and you can upload our gift baskets to your site. When you get an order, login to our site, place the order and we ship on your behalf. It’s that easy! Our fulfillment with your marketing can be a powerful combination. 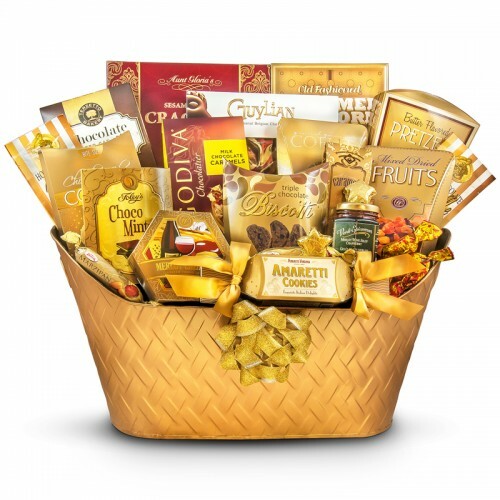 Become a Gourmet Gift Basket Store Reseller Today! 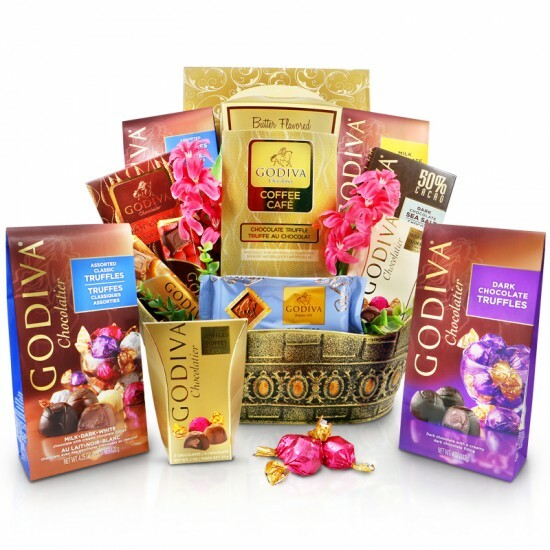 Why not try drop shipping gift baskets on your website? Gourmet Gift Basket Store offers the highest quality products with top of the line service to you. Also by specializing in bulk orders we are able to save you time and money on volume orders. Let us know how many you need, and we’ll do the rest! It’s our aim to be Canada’s premiere company for corporate giving and we work hard to maintain a reputation of excellence for our products and services. We are always happy to respond to any of your questions. If you would like additional information about regular orders or large bulk shipments of our products, please call us on our toll free line at 1.866.527.5244. You can also send us an email to info@gourmetgiftbasketstore.com, outlining any questions you may have and we will contact you promptly with further details. Remember, individual orders for all of your clients, employees or other business associates, or anyone else on your list of special people are just as important to us and we guarantee satisfaction with each order. Whether it’s a birthday, a holiday, or any other special occasion, our beautiful basket arrangements are guaranteed to make a great impression! We’ll make your family and friends smile and keep your customers coming back to you! Turn Around Time: All single orders placed prior to 12:00 Noon Monday to Friday will depart the same day. If you are ordering more than 50 baskets at a time they will depart within 1-3 business days depending on the time of year. Please allow extra lead-time during the busy holiday season. We will post cut off dates for ordering when close to a busy time of year. Ground shipments take 1-5 business days to Canada and 2-7 business days to the USA; depending on certain remote areas it may take up to 12 business days (Not including weekends and holidays). We will contact you prior to shipping with an estimate on time and cost if you are shipping a pallet. Please view our ship/track tab for more detail. ** Important** Product substitutions may happen from time to time dependent on current inventory on hand at time of booking. Subs could also be made to accommodate extreme weather conditions if it is too hot or too cold to ship a particular food item. Subs are done at the discretion of the designer and are always of equal or greater value of that purchased and within the theme of the gift. We drop ship for established website businesses. Fill out our Reseller Application Form that we will review within 1-2 days. Once accepted, drop ship details will be emailed to you for discussion. Due to the volume of applications we may not approve website companies that have not been active for at least a minimum of one year. Our regular shipping rates and taxes are applicable after the cost of the basket with the discount, there are no discounts on shipping or taxes. All baskets must be booked online with your company credit card and only after you have logged in to the site will your discount be applied. We do not allow our drop shippers to use third party websites like Amazon or EBay to sell our products on. Excellent choice for the beginner to intermediate business with No Monthly Fee. Our Standard Program is recommended for those companies that are ready to improve their business and product selection with no extra product inventory to buy. No commitments, no minimums and a good discount. We offer award winning gourmet food and brand name product lines; directly importing high quality European and North American chocolates and cookies with value, quantity at a very affordable price. Therefore we give more for the money than others can. All programs incur a one-time non-refundable Administrative Fee of $49.99 + applicable taxes, to set your company up within our program. Terms are based on the program you select and any unused time is non-refundable. Term billings are processed through our in house billing using your Visa, MasterCard and American Express. Excellent choice for the established business for only $29.95 /per month. Our Advanced Program is recommended for those companies that have an established business. Take your company to the next level and grow your sales. No commitments, no minimums and a good discount. All programs incur a one-time non-refundable Administrative Fee of $49.99 + applicable taxes, to set your company to one of our programs. Terms are based on the program you select and any unused monthly time is non-refundable. Term billings are processed through our in house billing using your Visa, MasterCard and American Express. Thank you so much for your quick reply. I placed my order by phone this morning. I will certainly be ordering from you again in the future. It is so refreshing to have a company with such great customer service. Thanks again, Anne. Thank you for sending the wonderful gift basket! I have heard from the recipient, and she was delighted. It made her day. Thank you for your wonderful service! The gift basket arrived yesterday and was very well received! My sister absolutely loved it! Breathtaking, exquisite and perfectly fitting treats make the others pale in comparison. Lorrie H.